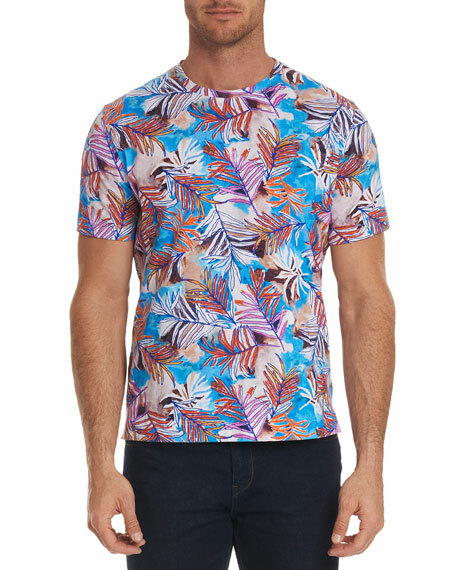 Robert Graham "Freshwater" T-shirt in graphic leaf print. Robert Graham embodies American Eclectic. 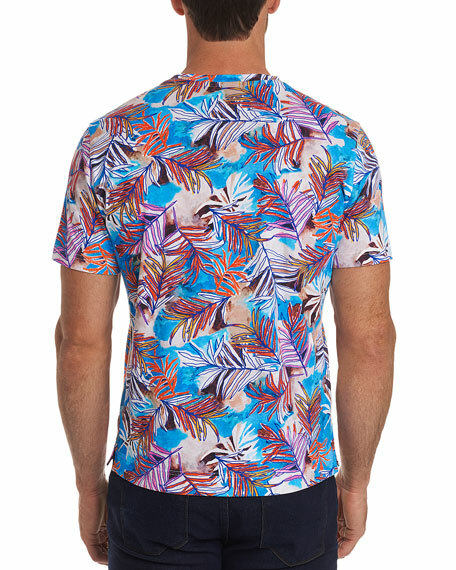 Founded in 2001, Robert Graham's approach to fashion design extends beyond the literal theme of cleverly and intricately mixed fabrics, trims, and embroideries. Robert Graham develops garment-making techniques that are unique to the brand alone. The handcrafted designs are inspired by various elements in time and place including vintage motifs, cultural statements in history and awe-inspiring landmarks. For in-store inquiries, use sku #2638548.